Try our courses completely free! 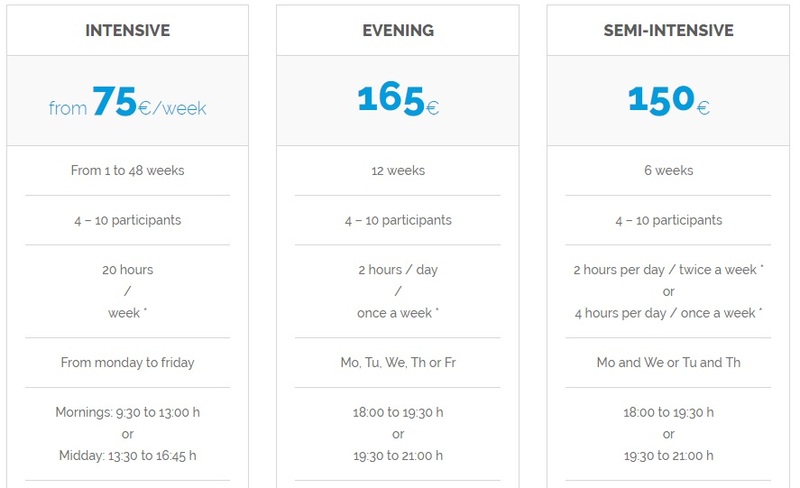 If you are a Spanish-beginner, you can take part in our free trial lessons for beginners, which take place once a month. All our Spanish courses in Berlin are adapted to the Common European Framework of Reference for Languages and its different levels (A1-C1). Thanks to this Framework it’s been possible to measure the level of expertise in every single language in Europe. *Due to our cancellation policy, you can cancel an appointment for a private lesson up to 24 hours in advance; after that, we will be obliged to charge you for the class. Would you like to learn Spanish in Spain or South America? Then please contact us! We will organise the perfect language trip for you to pratice your Spanish! Learn Spanish in Berlin with us in a fun and easy way!